Luis Alexander Quezada passed away peacefully on February 19, 2019 in Newport, Oregon following a brief illness. 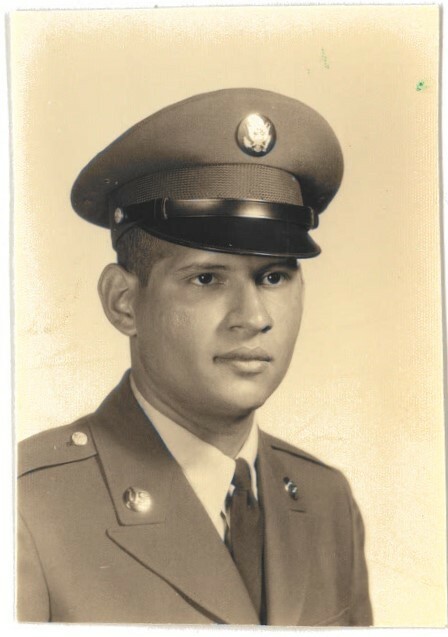 He, along with his four brothers and sisters, was born in Santo Domingo, Dominican Republic where he spent the first 6 years of his life before the family moved to the United States. He was raised in Manhattan, New York where Lu took a great interest in school and academic success. The family later moved to Southern California and Lu graduated from Belmont High School in Los Angeles where his academic success continued, being named to the Honor Society. He also participated on student counsel, was a lead role in the musical “My Fair Lady”, and a great player on the basketball team. Out of high school, he was drafted to the US Army which he proudly served in Vietnam (’65 – ’67). After his service he continued his education at Los Angeles City College where he received his AA in Business Administration and Real Estate. Lu married and actively raised three daughters in Temple City, California before moving to Red Bluff, California, where he enjoyed the country life. Later, Luis pursued another chapter of his life on the Oregon Coast with his lovely surviving long-term partner in Waldport, Oregon. He also leaves behind his three daughters and five grandchildren, sister, brother, and is preceded in death by mother, brother and sister. Most people can recognize Lu by his great laugh and the uncanny ability to turn anything you said into a song. He loved photography, and after having a family he was rarely seen without a camcorder on his shoulder video recording his girls in sports and other activities. Other interests of Lu include: sports, music, gambling, card games, horse racing, sport cars, debating and love of seafood. The family would like to extend their heartfelt gratitude to the staff at PCH in Newport. During Lu’s final three week stay, their attentive and kind care aided in the ease of his last days with family. Although Lu loved and embraced each place he lived; city, country-side, and beach - his heart will always be in the Dominican Republic where he was born. Services will be held at the Willamette National Cemetery March 11 at 1:30p.m. with full military honors.